Christians in the Middle Belt and Northern regions of Nigeria are being consistently attacked by extremist groups such as Boko Haram and militant Fulani herdsman. In response, the Nigerian government and most major media outlets have largely turned a blind eye to the issue. 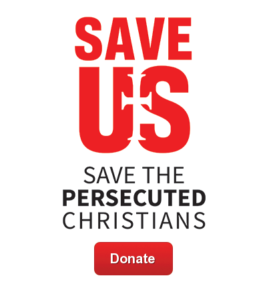 According the Christian Broadcasting Network (CBN) more than 300 Christians have been killed by extremists in February and March of this year alone. Amidst this devastation, a group of 76 Muslim-background Christians were kidnapped by Boko Haram, held captive, and tortured. The militants chose four men from the group and commanded them at gunpoint to renounce Jesus Christ and proclaim Islam. The men were then shot in front of their friends and families for refusing.